It is the ultimate test drive for the newest otherworldly vehicle. A few practice spins around an ancient lake bed in the Mojave desert this week with the next-generation Mars rover are helping NASA scientists and engineers learn more about driving the real thing on Mars. "It's pretty exciting out here. We want to rack up a lot of miles and see how far this rover can go," said Dr. Raymond Arvidson, a geologist from Washington University in St. Louis, MO, and mission director for the field tests. "We are doing an 'end-to-end' test, using systems similar to what we will use on Mars. These test drives will help ensure that we will have a successful Mars rover mission." Future robotic rovers on Mars will need to find the best rocks to bring back to Earth, samples that are likely to contain the evidence scientists need to prove that life once existed on the red planet. 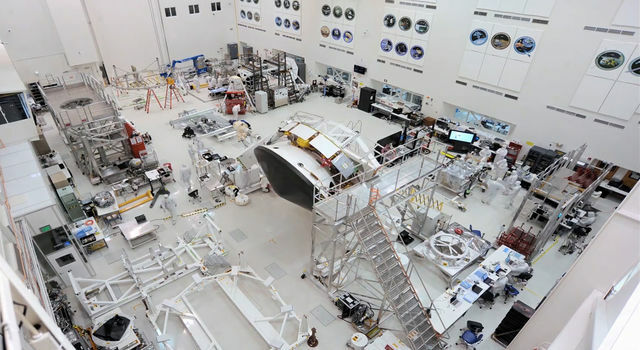 The rovers are being built and tested by NASA's Jet Propulsion Laboratory, Pasadena, CA. To find the best sample, scientists need a good retriever. This week they're testing the work horse, er dog, named FIDO -- Field Integrated Design and Operations -- that is helping them figure out how to use the kinds of instruments the next Mars rovers will need to fetch the most scientifically interesting rocks. FIDO is designed to test the advanced technology of the Athena flight rover and science payload that will be launched as part of NASA's Mars Sample Return missions in 2003 and 2005. "No place on Earth is like Mars, but our field site on an ancient lake bed in the Mojave Desert comes close. So far we've been able to use the rover's mini-corer to drill a rock sample and we've used the microscopic camera to look inside the hole," Arvidson said. "We're practicing looking for rocks that contain carbonate minerals. If we find those kinds of rocks on Mars it may tell us if the early planet had a carbon dioxide atmosphere." "We've had a fantastic week. In just a few days, we've shown that we can find good rocks, drill samples out of them, and take the samples back to a lander. 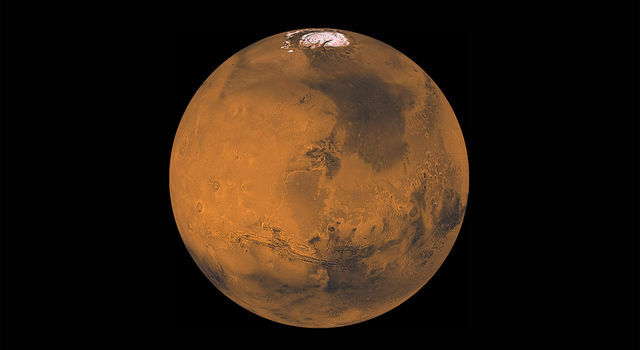 That's a huge step forward in preparing to bring the first samples back from Mars," said Dr. Steven Squyres, principal investigator for the Athena rover payload from Cornell University, Ithaca, NY. "FIDO's advanced technology includes the ability to navigate over distances on its own and avoid natural obstacles without receiving directions from a controller," said Dr. Eric Baumgartner, a robotics engineer at JPL and mission engineer for the desert field tests. "The rover also uses a robot arm to manipulate science instruments and it has a new mini-corer or drill to extract and cache rock samples. There are also several camera systems onboard that allow the rover to collect science and navigation images by remote-control." FIDO is about the size of a coffee table and weighs as much as a St. Bernard, about 70 kilograms (150 pounds). It is approximately 85 centimeters (about 33 inches) wide, 105 centimeters (41 inches) long, and 55 centimeters (22 inches) high. The rover moves up to 300 meters an hour (less than a mile per hour) over smooth terrain, using its onboard stereo vision systems to detect and avoid obstacles as it travels "on-the-fly." During these tests, FIDO is powered by both solar panels that cover the top of the rover and by replaceable, rechargeable batteries. "FIDO is about six times the size of Mars Pathfinder's Sojourner and is far more capable of performing its job without frequent human help," Dr. Paul S. Schenker, who directs FIDO rover development at JPL as part of the NASA Exploration Technology Program. "FIDO navigates continuously using on-board computer vision and autonomous controls, and has similar capabilities for eye-to-hand coordination of its robotic science arm and mast. The rover has six wheels that are all independently steered and can drive forward or backward allowing FIDO to turn or back up with the use of its rear-mounted cameras." In addition to testing FIDO, the scientists and engineers are supporting students from four schools around the country in designing and carrying out their own mission with the rover. This is the first time students have been able to remotely operate a NASA/JPL rover. The students, from Los Angeles, Phoenix, Ithaca, NY, and St, Louis, (LAPIS), form an integrated mission team and are responsible for planning, conducting and archiving a two-day mission using FIDO. 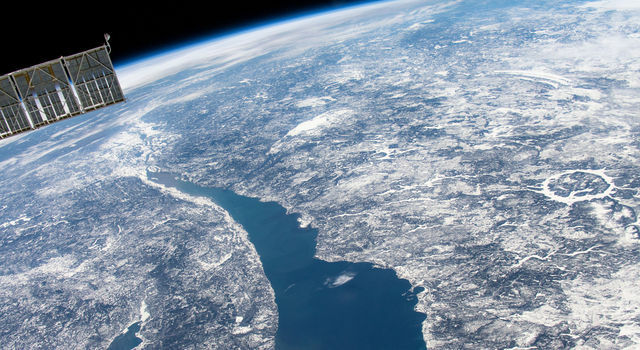 "It is important to excite young people about space exploration and discovery and these tests provide an excellent educational opportunity," Arvidson said. "We're including high school students in the FIDO tests as a pilot experiment in which the students gain a sense of participation in the field trials by planning their own mission segments and working with us to implement the rover's assignments." 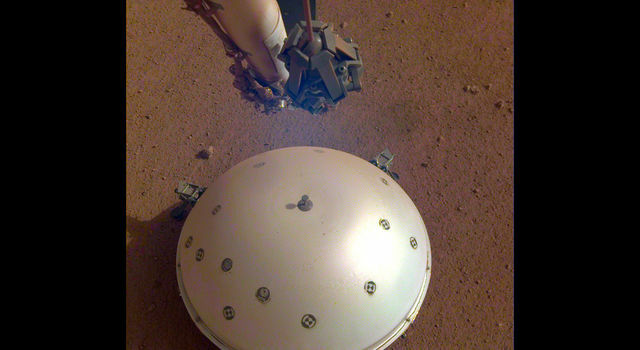 The FIDO rover development and the Mars Sample Return 2003/2005 missions are managed by NASA's Jet Propulsion Laboratory for NASA's Office of Space Science Washington, DC. JPL is a division of the California Institute of Technology, Pasadena, CA. More information about FIDO is available at: http://wundow.wustl.edu/rover.